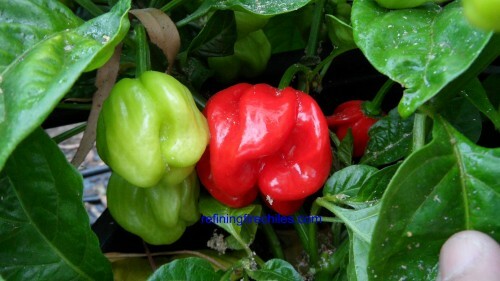 Red Scotch Bonnet-(Capsicum chinense)-The Red Scotch Bonnet is similar in shape to the traditional Yellow Scotch Bonnet but has more heat and a richer flavor. A lot of saucemakers prefer it as you end up using less of it to get the desired heat and flavor in their products. ATTENTION YOU ARE BUYING PEPPER POWDER. USE CAUTION WHEN HANDLING AS POWDER CAN GET IN THE AIR AND CAUSE IRRITATION. KEEP AWAY FROM CHILDREN. Powders are imported and inspected as required by USDA.